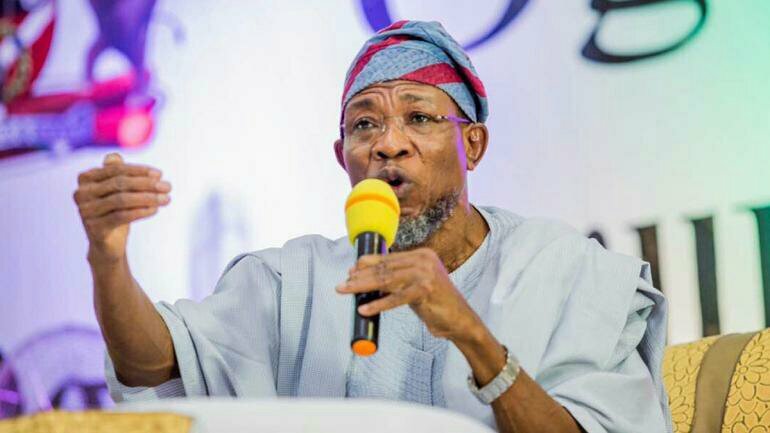 Osun state Governor, Ogbeni Rauf Aregbesola, has applauded President Muhammadu Buhari for recognising June 12 as democracy day in place of May 29. According to Governor Aregbesola, “President Buhari has secured for himself an incomparable position in history for surmounting the courage to take this historic step of recognising June 13 as ‘Democracy Day’ and honouring Chief Moshood Abiola posthumously. “June 12, 1993 was the day democracy was born in Nigeria. It was the day Nigerians negated all the social and political constructs that had been thought would make national unity impossible and democratic governance impossible, but Nigerians in their heterogeneity overwhelmingly voted for a candidate whose very essence was in defiance of religious, ethnic and regional categorisation. “It is most regrettable that the election was annulled and Chief Abiola clamped in illegal detention where he later died. “Successive administrations had suppressed the significance of June 12 and resisted every admonition to recognise the date and honour Chief Abiola. We have since the advent of our administration shunned May 29 and celebrated June 12 as Democracy Day. We are glad therefore that President Buhari has taken this bold step and set the record straight. History will be kind to him for this. I commend him for this uncommon courage and demonstration of leadership”, the statement said. 0 Response to "Hmmnn! Aregbesola Applauds Buhari On Recognising June 12"